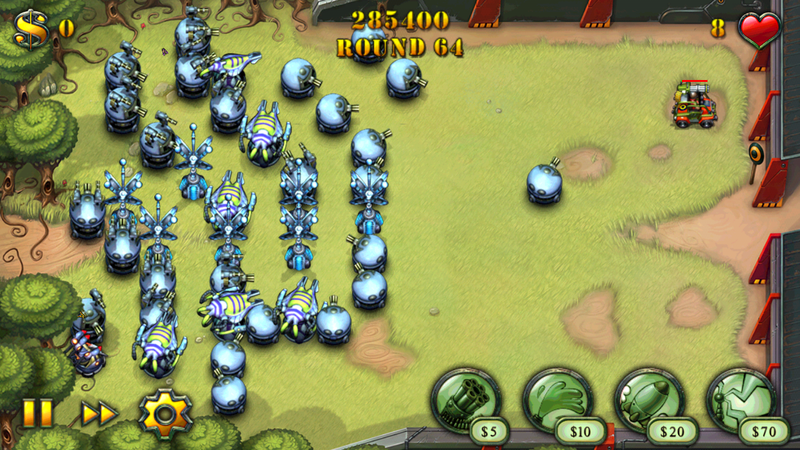 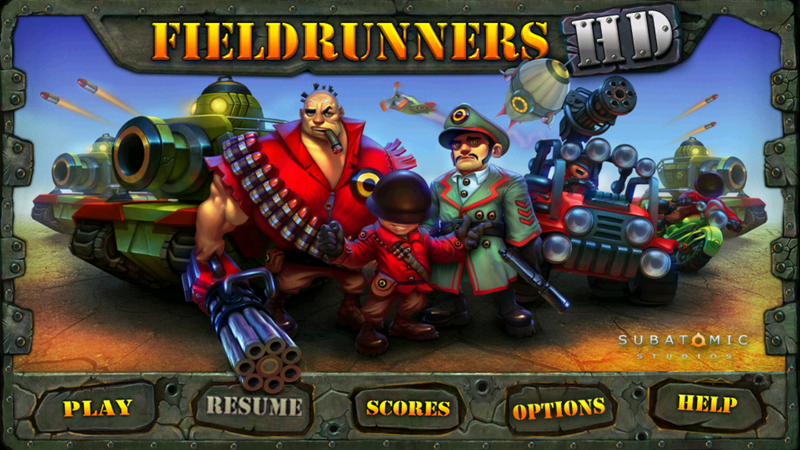 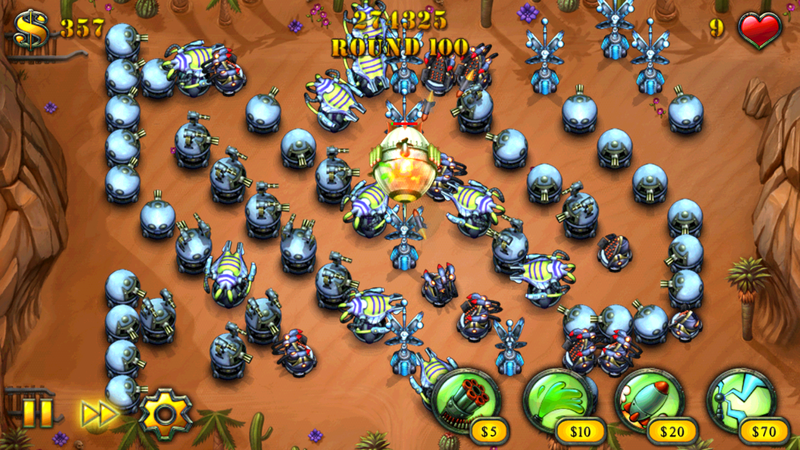 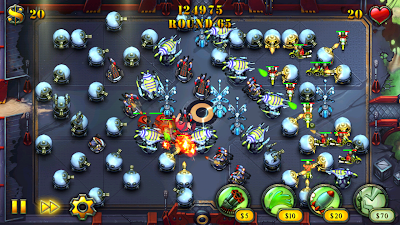 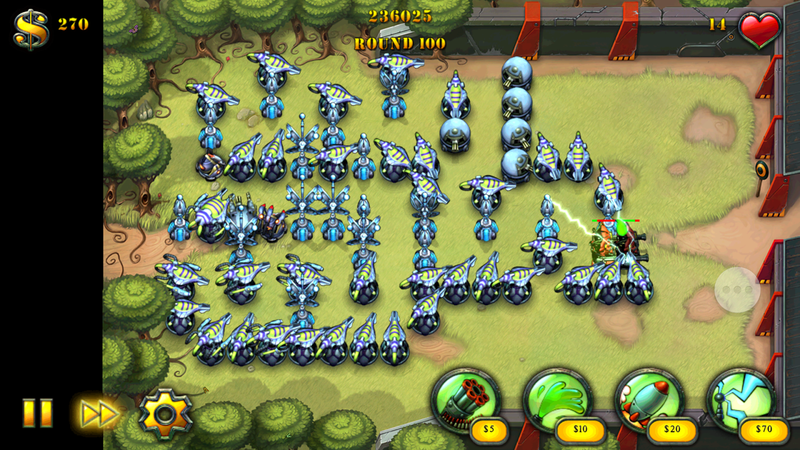 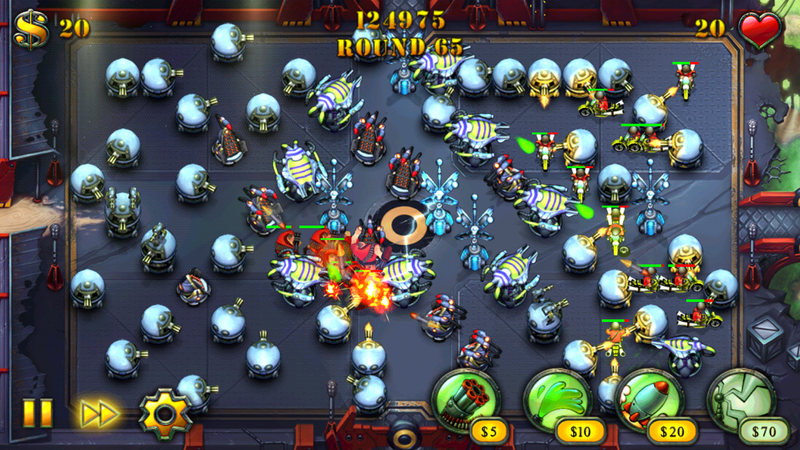 Fieldrunners is a simple, yet entertaining tower defense game. Place towers on the map and destroy the enemy before they get to the exit. 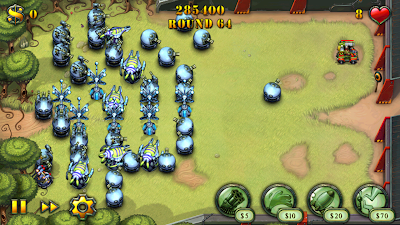 You will, however, need to place towers strategically in order to both deal damage and block the enemy's way. 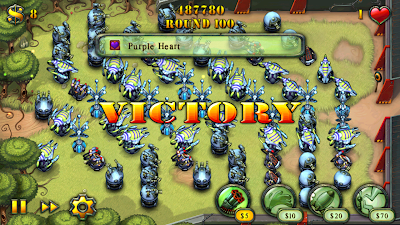 This was my first time playing the game and after eight tries I had a high score of 485970 (Classic, Grasslands, Round 99). Today I got to Round 100 on Grasslands (Classic), getting a score of 487780. Afterwards I also got to Round 100 with a higher score of 487780. 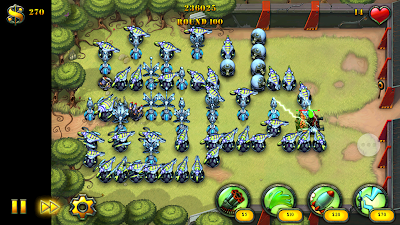 I also got to Round 100 on Crossroads (Classic) on my first try, though only with a score of 250065. It's been a while since I've played Fieldrunners and a lot of the strategies I had developed from playing the game two years ago had been lost. 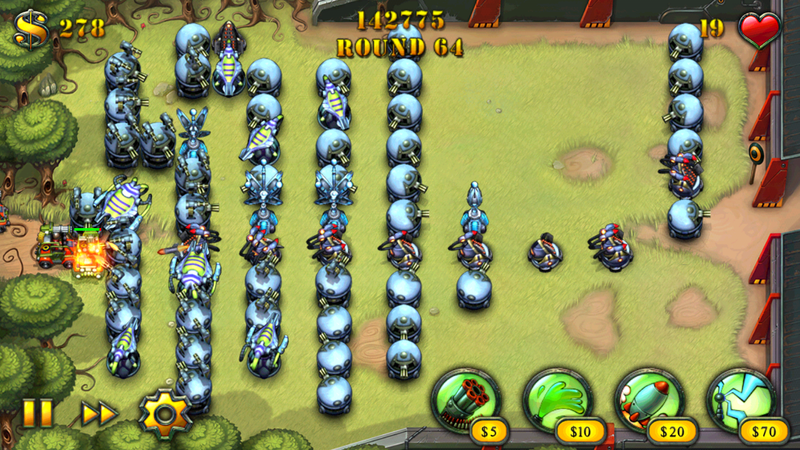 It is, however, fun to compare the similarities in initial gameplans and later, more evolved, gameplans. 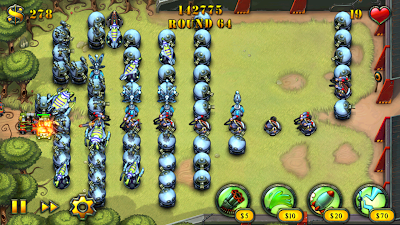 I think today I started playing the game on my new phone (Samsung Galaxy S5) and found I couldn't use the bottom row. 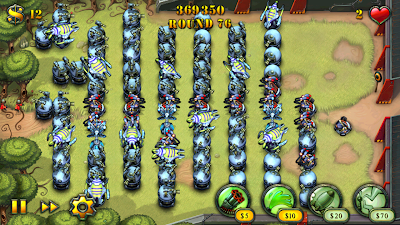 RIP.